Naini Retreat is a majestic building defining an 'old world charm', providing the most modern luxuries for a leisure stay. 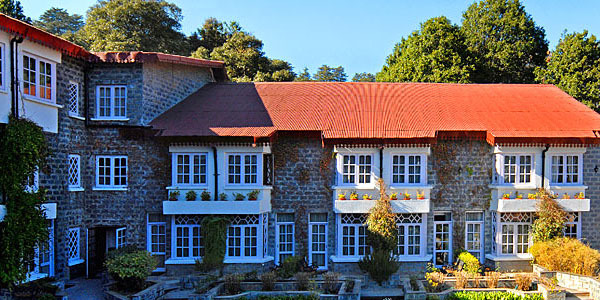 Naini Retreat is situated on the picturesque Ayarpatta Slopes overlooking tha Naini lake. Providing a breathtaking view at an altitude of 1995 metres. The hotel offers tasteful bedrooms, overlooking the valley. All the rooms are equipped with modern amenities for the comfort of the guests. All Major Credit Cards Accepted, H/C Running Water, Newspaper, Direct Dialing STD/ISD Facility, Broadband Facility, Travel Desk, Safe Box in Room, Room Service, Doctor on Request, Currency Exchange, Cable TV, Safe Deposit with Cashier, Laundry Service, Music Channel.